In 1970, Ralph G. Stanton came to the University of Manitoba from York University to launch the Department of Computer Science. This innovative new area of study created excitement on campus when over 600 students signed up for the first freshman course. The projects developed in the first year included the following: programming languages, algorithmic methods, numerical analysis, social impact of computing, and much more. Ralph G. Stanton also created the first Computer Science co-op program. The number of undergraduate and graduate students interested in the program continued to grow. As of September 2016, there are 722 students in the Department of Computer Science’s programs. This was a 28% increase from the previous year. The current ratio of students is 85% male and 15% female. - Give a one-year free membership to any student who finishes a PH.D. in Combinatorics. - Give the first year of membership free to a new member registering for two years. The ICA recently made headlines at SFU, noting that they had a Hall, and Euler, and a Kirkman winner in the department (Jedwab, Mohar, Schmidt)! Each medal nomination is to be made by at least two Fellows of the ICA; nominations for Honorary Fellowship are to be made by at least three Fellows of the ICA. 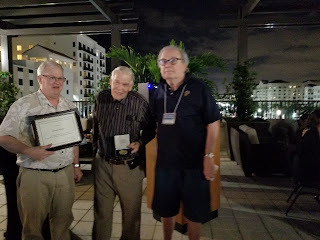 Nominees must not be current members of the ICA Council; nominees for the Euler, Hall, and Kirkman medals must not be Honorary Fellows. Further, nominees must meet the eligibility requirements given below. In assessing eligibility, documented career interruptions are taken into account. impact of the nominee’s contributions other than research.